Swift is a persuasive and intuitive programming language for iOS, OS X, tvOS, and watchOS. Writing up the swift code is interactive and enjoyable, the syntax is brief yet expressive, and applications run at lightning-fast. Swift is ready for your next project – or addition into your current application – because, the Swift code runs parallel with Objective-C. Swift is a new programming language that builds on the best of C and Objective-C, without the constraints of C compatibility. Swift adopts safe programming patterns and has added more modern features to make programming easier, malleable, and more lively. Swift’s clean slate backed by the mature and much-loved Cocoa and Cocoa Touch frameworks, is an opportunity to reimagine how software development works. Swift took many years in making. Apple laid the foundation for Swift by progressing the existing compiler, and framework infrastructure. Objective-C itself evolved to support blocks, collection literals, and modules, enabling framework adoption of modern language technologies without any interruption. As Swift is familiar to Objective-C developers, it adopts readability of Objective-C’s named parameters and the power of Objective-C’s dynamic model. Building from the common ground, Swift introduces many new features and consolidates the procedural and object-oriented portions of the language. Another important feature of Swift is, it allows the programmers to experiment with the Swift code and can see the results immediately, without the overhead of building and running an application. Swift combines the best of modern language thinking with wisdom from the wider Apple engineering culture. The compiler is optimized for performance and the language is optimized for development, without compromising on anyone either. According to the Red Monk’s Programming Language rankings, Swift has climbed from 68th position in 2014 to 22nd position in 2015, a jump of 46 slots. 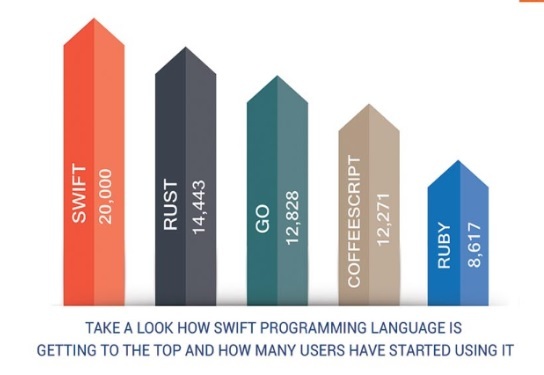 According to the meteoric rise, Swift is expected to become a top language sometime in this year. Swift is a fantastic way to write iOS, OS X, watch OS, and tvOS apps, and will continue to advance with new features and capabilities. 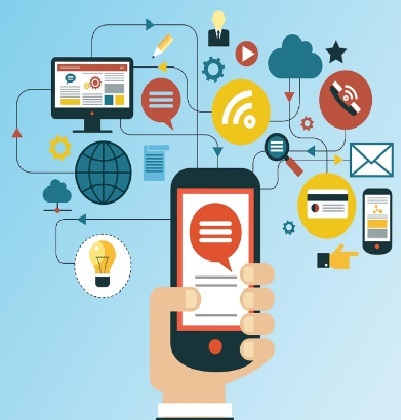 It has also gone open source, which is one of the main reason for its popularity. The syntax features make the users write more expressive code while improving consistency across the language. The SDK’s have employed new Objective-C features such as, generics and nullability annotation to make Swift code even cleaner and safer. Under the environment of Cocoa and Cocoa Touch, many classes were part of the foundation kit library. This includes, NSString string library, the NSArray, and the NSDictionary collection classes. Objective-C provides various bits of syntactic sugar to allow some of the objects to be created within the language. But, once it is created the objects are manipulated within the object calls. In swift, many of these basic types have been promoted to the language’s core and can be manipulated directly. For instance, strings are invisibly bridged to NSString and can be coupled with the “+” operator allowing simplified syntax. Playgrounds make writing Swift code astonishingly simple and fun. If a user types a line of the code, the result appears immediately, and a user can have quick look of result which is side of the code, or can pin the result directly below. And in new Xcode 7, playground contains comments that use rich text with, bold, italic, and bullet lists in addition to embedded images and links. Swift excludes entire classes of unsafe code. The variables are initialized always before use, arrays and integers are checked for overflow, and memory is managed automatically. Another safety feature of Swift is, by default Swift objects can never be nil. The Swift compiler will stop you from trying to make or use of nil object with a compile-time error. This makes the writing of code much cleaner and safer, and prevents massive category of runtime crashes in your applications. From its earlier concept, Swift was built much faster. Using the high-performance LLVM compiler, Swift code is transformed into optimized native code that gets the most out of modern hardware. One of the most impressive aspects of developing Swift is, it is now free to be ported across wide range of platforms, devices, and use cases. The major goal is to provide source compatibility for Swift across all platforms, even though the actual implementation and mechanisms may differ from one platform to other. Swift has all the necessary features to quickly become a popular programming language for iOS and OS X in both the enterprise and the consumer worlds. The type interference characteristic of the language will make it especially suitable for the enterprise and the simple and clean syntax will attract those on consumer projects. SWIFT PROGRAMMING SWIFT PROGRAMMING by admin.